Shoal Creek Adventist School is part of the worldwide Seventh-day Adventist school network, the second-largest parochial education system in the world after the Catholic school system. In Child Guidance, Ellen G. White stated, “It is during the first years of a child’s life that his [her] mind is most susceptible to impressions, either good or evil. During these years, decided progress is made in either a right direction or a wrong one.” This is why it is our mission to provide our students with a Christian-based education in a loving, supportive environment. We focus on their spiritual, mental, and physical well-being to prepare them for success in life, while supporting our teachers and parents as we all work together to mold the lives of God’s most precious gift. North American Division curriculum guides below outline skills and concepts to be taught and evaluated to enhance student achievement. The essential learnings listed in each guide specify standards and performance expectations, based on Provincial, State and National Standards, that are correlated with the goals and essential core elements of the North American Division Journey to Excellence. The North American Division Kindergarten Stepping Stones program is based on the belief that kindergarten is a stepping stone between home, early childhood education, and the primary grades of school. "I love the individualized attention to the student's education and the access to physical and music/art education." Standards in NAD Seventh-day Adventist schools reflect the Adventist worldview across the K-12 curricula as well as the integration of national and provincial/state standards. The Adventist worldview accepts the Bible as the standard by which everything else is measured. - Kainer, G. (2011). Worldviews make a world of difference. PURPOSE — What is the Adventist worldview? 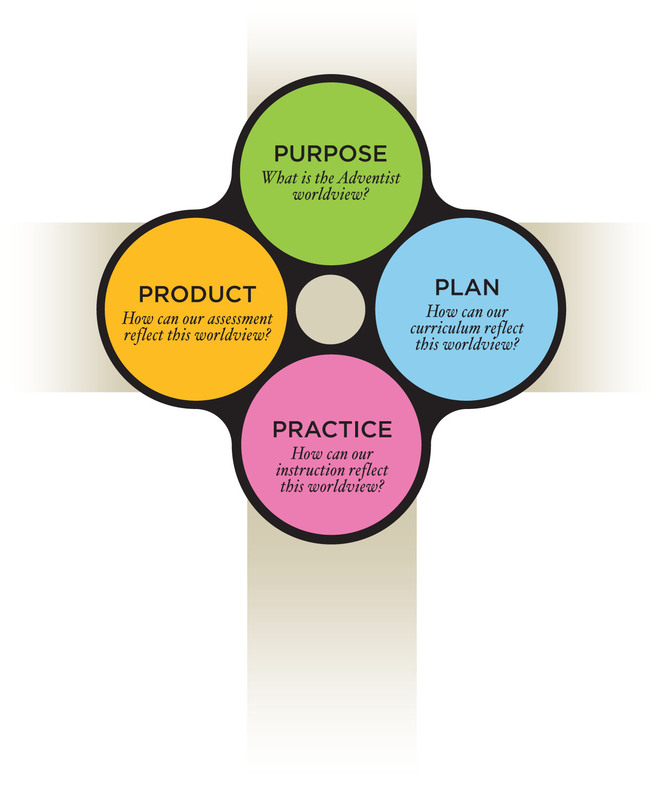 PLAN — How can our curriculum reflect this worldview? PRACTICE — How can our instruction reflect this worldview? PRODUCT — How can our assessment reflect this worldview?